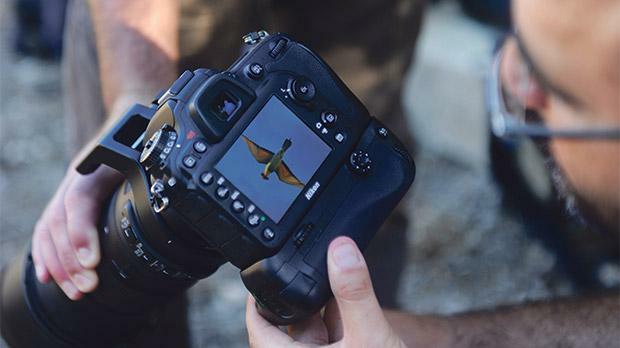 Shooting birds – with a camera – has become a favourite pastime for many hunters. Kurt Sansone and photographer Steve Zammit Lupi joined a group of hunters and birdwatchers who have found common ground in their passion for birds. The Maltese flag atop Verdala Palace was taut as it fluttered in the strong northerly wind blowing over the Buskett woodland. Across the valley, in the area known as Għar il-Kbir, a group of 10 men armed with camouflaged cameras made their way down to a more secluded area. They go there to capture birds with their telephoto lenses, then upload the photos and share them on a closed Facebook group that brings together hunters, ornithologists and birdwatchers. I was invited to join the group on an afternoon expedition to Buskett, one of the best areas to view the spectacle provided by birds of prey at this time of year as they migrate southward towards Africa. The three hours spent together yield little, apart from the very common sight of colourful bee-eaters. 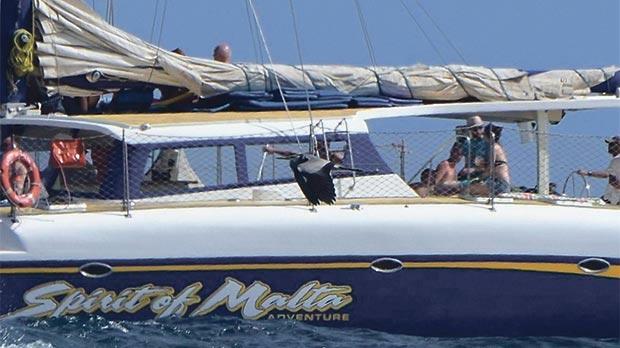 “The wind has changed direction and this northerly gust is enough to put migrating birds on a different path, which skirts Malta,” Marcus Camilleri, 54, tells me. A veteran in this group, he is a hunter but, over the past two years, has taken up a passion for photography. Today, his camera accompanies him to the hide along with his shotgun. It has been a poor autumn season so far for the birds that hunters are permitted to shoot, less so for other migratory species, which many urbanites like myself are unaware of. The Facebook group started two years ago as an experiment concocted by ornithologist Natalino Fenech and a couple of hunters who felt there was common ground to be shared between bird conservationists and hunters. 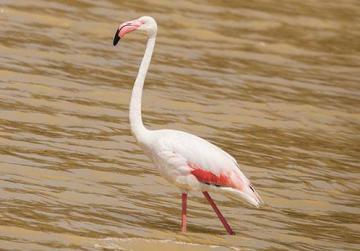 The group has expanded to more than 3,500 members, providing an insight into the extent and richness of migratory species that pass over Malta. 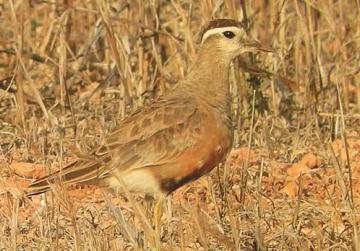 “Everybody here loves birds but some of us like to eat them as well, which is why we hunt,” Mr Camilleri says. As we talk, one of the group members spots a silhouette in the sky. “It’s a hobby,” he shouts, as the others draw their cameras, pointing them to the sky. The falcon flutters against the wind out of view behind the trees. 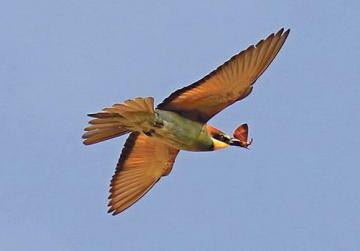 It’s the turn of a bee-eater to show off, and Kevin Holmes, 36, follows it with his camera. He shows me the picture of the bird with a red butterfly caught in its beak. “This bird’s plumage is more colourful and vibrant in spring as it returns to European breeding grounds,” he tells me. Mr Holmes is also a hunter. He had been discussing, a few moments back, how he managed to get some good pictures of a kingfisher at the Salina waterway, known as sokkorsu, a few days earlier. “Out of the corner of my eye I must have seen it emerge from the mud in the retaining wall,” he says. Matthew Scerri, an avid bird photographer, interjects with his views on the beauty of kingfishers, and the others concur. Mr Scerri is not a hunter but appreciates the new-found friendship and common passion with members of the Facebook group. “We share information and knowledge, which enriches our passion for birds,” he says. The banter moves to a more serious subject – the conservation status of the turtle dove. The International Union for Conservation of Nature (IUCN) last year downgraded the status of the turtle dove to “vulnerable”, prompting the European Commission to seek a spring hunting moratorium on the species in Malta. The national quota for the number of turtle doves that could be killed in spring was reduced to 5,000 from 11,000 this year, and the hunting federation asked for a moratorium to be imposed on next year’s spring season. But the organisation has argued the limited numbers hunted in Malta could not be blamed for the declining population of turtle doves. “If the turtle dove has a vulnerable status, then it should be declared a protected species everywhere, because it makes little sense to stop the hunting of a few thousand in Malta in spring when millions more are killed across Europe,” Mr Scerri argues. Kevin Francica, a hunter and an administrator of the Facebook page, agrees with the moratorium but believes it will be of little use. “What Maltese hunters shoot pales into insignificance when many more thousands are shot in Serbia and other countries in the autumn,” he says. The discussion moves to the illegal shooting of protected birds, and Mr Francica captures the general sentiment in the group when he says the blanket targeting of all hunters as criminals is unfair. “Things have changed, and illegalities have been reduced drastically, but unfortunately, there are some who refuse to believe this and continue to paint a negative picture of hunters,” Mr Francica says. 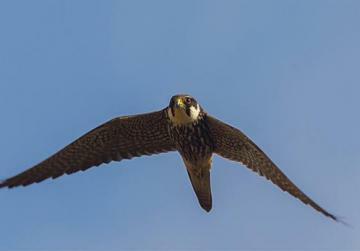 He adds that the Facebook page not only brings people together but highlights the reality that not everything that flies over Malta is killed. This is a reference to the photos of shot protected birds circulated by conservationists. Mr Francica notes that instances of illegal hunting should be highlighted but portraying these as the norm is wrong. 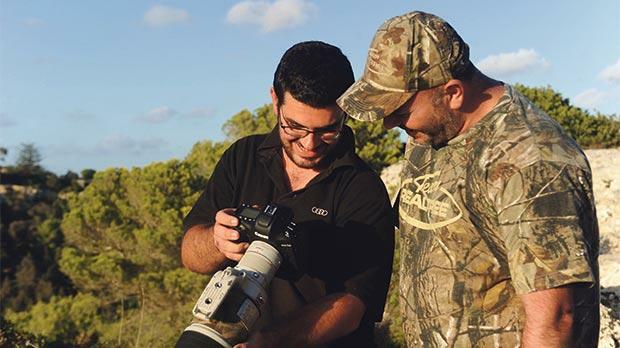 Bird photographer Chris Carbone – not a hunter – says collective punishment through the closure of a season is not the way forward. He believes it only serves to discourage law-abiding hunters from being vigilant. “A criminal who is not bothered by shooting a stork in broad daylight will not think twice about shooting a protected bird in closed season; it will probably give him relative safety, because bona fide hunters will not be out in the field,” Mr Carbone argues. This is one of the reasons the group shares information on sightings, Mr Camilleri interjects. “Having eyes out there, taking photos or simply observing the birds can serve as a deterrent for those with criminal intent,” he says. There is mutual respect among the 10 people sitting down in the field above the Buskett treeline. Just two decades ago, the area served as a hotbed of illegality, since hunters shot protected birds with relative impunity. Today, hunters go there with their cameras. Mr Camilleri produces a packet of Nice biscuits, which he shares around. It elicits playful teasing from his friends. The question is, does trading shotguns with cameras give hunters the same pleasure? Clayton Chircop, 21, who is one of the youngest members of the group and also a hunter, says the same qualities are required for both hobbies. “Hunting is about patience, alertness and quick responses, which are qualities needed to secure a good photograph,” Mr Chircop says with camera in hand. As we prepare to leave Buskett, Mr Scerri says the government should consider having photography hides in Buskett and other areas where birds are known to settle. “I pay money and book well in advance to go on photography trips abroad. It would be good to have such facilities in Malta,” he says as the others nod in agreement. Nyal Xuereb, an official with St Hubert’s Hunters, a hunting organisation, says his group made such a proposal three years ago but it fell on deaf ears. Unfortunately, today is not very fruitful. 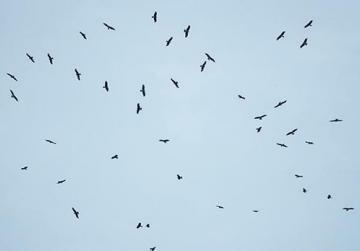 The northerly wind has sent the birds flying elsewhere. But, tomorrow, the men will return, cameras in hand, patiently waiting for that good picture which will earn the ‘likes’ on Facebook and satisfy the thrill, which few can understand.